In a validation that the business of organized retailing in developing markets presents an exciting opportunity, research done by Thomas Reardon, a professor of agricultural economics at the Michigan State University, says organized retail grew at a much faster pace in Latin America and Asia than in the US and Europe. Reardon and his team, comprising C. Peter Timmer and Julio Berdegue, wrote a paper on the overseas markets, called Supermarket expansion in Latin America and Asia—implications for food marketing systems, which appeared in the US department of agriculture’s Agriculture Information Bulletin, in February 2005. The paper outlined the rapid growth of organized retail in developing countries and could indicate how the nascent Indian market for organized retail will evolve. In just a decade in Latin America, the paper said, supermarkets grew as much as they had done in five decades in the US. According to it, they accounted for 50-60% of food retail sales in 2000, compared with 10-20% 10 years earlier. And the paper also said that supermarkets grew at an even faster pace in East and South-East Asia, even though these markets lagged Latin America by five to seven years. 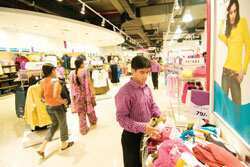 Organized retail currently accounts for only 3% of India’s $330 billion (Rs13 trillion) retail industry but could grow to 16% by 2012 according to research done by Technopak Advisors, a New Delhi-based retail consulting company. However, the entry of organized retailers has sputtered in recent months in the wake of growing fears among small shopkeepers that this threatens their business. That has led to angry protests by the country’s more than 12 million small retailers in a bid to keep out large retailers such as Reliance Industries Ltd, Wal-Mart Stores Inc., Carrefour SA and the Aditya Birla Group that have recently entered or plan to enter India’s rapidly growing retail market. Some of that concern is not unfounded. Mint reported on Wednesday that the Icrier study shows that 50% of small retailers surveyed reported lower sales and 61% of all retailers pointed to competition from organized retail for their dwindling fortunes. The survey looked at some 1,600 small retailers in four cities including 800 who were within a 2-5km radius of new organized retailers. The survey also talked to 500 consumers who shop at both small as well as branded retailers. The study found stores located within a 2-5 km radius of supermarkets witnessed a 16% decline in sales. In contrast, those not near the supermarkets saw their sales go up 2%. The contrast emerged after Reardon suggested, midway through Icrier’s study, that a group unaffected by organized retail be included to get a clearer picture of what the coming of organized retail has meant for small retailers. Reardon did not respond to an email sent to him on Thursday (it would have reached him before business hours on Thursday in the US) asking for his comments. He has previously declined to be interviewed by Mint. Reardon and his team also studied the impact of organized retail on food supply chains, traditional markets and agriculture logistics in several countries, including China, Kenya and Brazil. Their research showed that the rapid growth of organized retail has helped improve the quality of produce available in local markets because it has created local distribution channels for produce that has traditionally been exported. These supermarkets have provided better quality produce at competitive prices to everyone rather than just affluent consumers. But the research also found the supermarkets in the regions covered by it to have become increasingly foreign-owned as the market evolved. In Latin America, multinationals account for roughly 70- 80% of the top five supermarket chains in each country on an average. Their growth has also led to increasing consolidation with the top five chains in each Latin American country accounting for 65% of supermarket sales, compared with 40% in the US. The research showed that supermarkets have helped improve local supply chains but that this has also meant that they (the supermarkets) have gravitated towards larger suppliers, leaving small farmers untouched by their growth.